Posted on July 25, 2015 by revivewa	in Reviews. 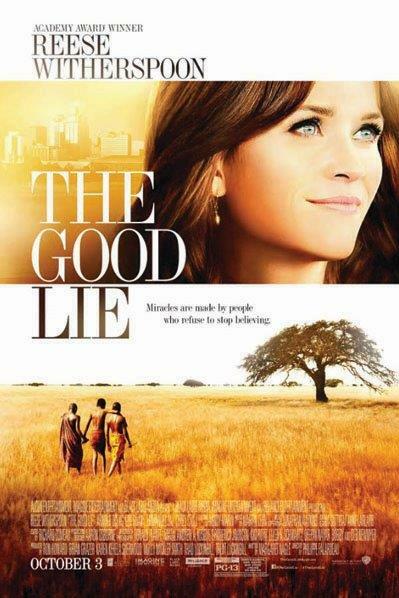 The Good Lie (film), directed by Philippe Falardeau From the wild areas of Sudan to the concrete jungle of suburban living, this film is full of powerful themes and moving stories about real people. A group of Sudanese children flee from marauding soldiers systematically eradicating whole villages in the countryside. Through their knowledge of the land and their life skills, the children evade the soldiers and travel huge distances cross-country, finding safety in a refugee camp in Kenya. Several years later they are selected to begin new lives in the USA. Their stories of dislocation, loss, and separation from loved ones find parallel stories in the communities where they are placed – loneliness, prejudice, injustice and frustration abound in a society of abundance. Laughter flows from the idiosyncratic things that occur, but acceptance is a key factor for the host communities and the refugees. A core issue is the fate of two of the group who get separated from the rest – one in Africa, one in the United States of America. The persistence and insistence that these two are family, and that they must all be together sets in motion actions that will bring great joy, deep pain and a hard decision to live out ‘The Good Lie’.